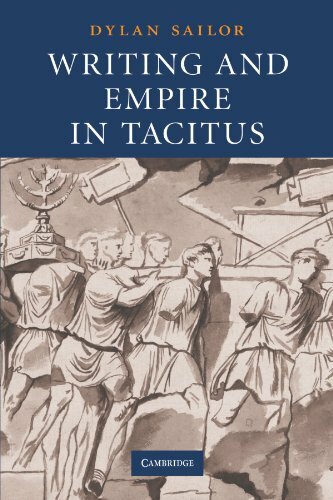 Writing and Empire in Tacitus examines how Tacitus' historiographical career serves as an argument about his personal autonomy and social value under the peculiar political conditions of the early Roman Empire. Following the arc of his career from Agricola through Histories to Annals, this book focuses on ways in which Tacitus' writing makes implicit claims about his relationship to Roman society and about the political consequentiality of historical writing. In a sense, this book suggests, his literary career and the sense of alienation his works project form the ideal complement to his very successful political career, which, while desirable, might nonetheless give the impression of degrading submission to emperors. The discussion combines careful attention to the historian's explicit programmatic discussion of his work with larger-scale analysis of stretches of narrative that have unspoken but significant implications for how we view the function and importance of Tacitus' work. A literary and historical interpretation of the literary career of the Roman historian Tacitus. It looks at how his writings Agricola, Histories, and Annals project an image of their author, and how they argue for the political importance of writing history. DYLAN SAILOR is Assistant Professor at the University of California, Berkeley.